Today's review is another essence mask pack from LUS. I did review on the first one, which is Pomegranate essence. If you haven't read the review on it, please press the link below. You can purchase LUS essence mask pack on eBay. The price varies, but it's about $1 USD for each mask pack! I don't think many people know this, but pumpkin is one of excellent ingredients skin care for all skin types! 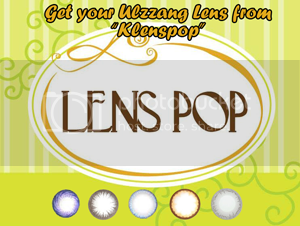 And it works especially well for those being overexposed to the sun. 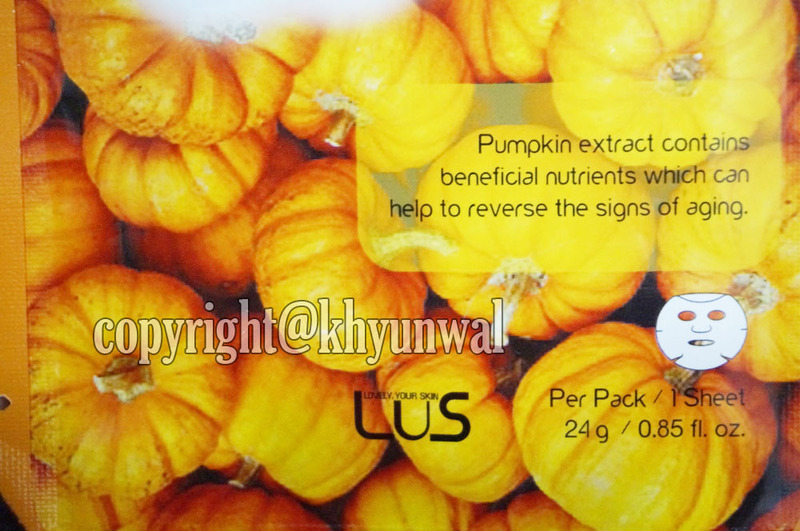 Pumpkin is rich in Vitamin A, which soothes and softens your skin. And also it contains Vitamin C, which is an excellent antioxidant that helps to treat damage produced by free radicals. So using any type of skin care made with pumpkin will help your skin to get the nutrients it needs to stay healthy. 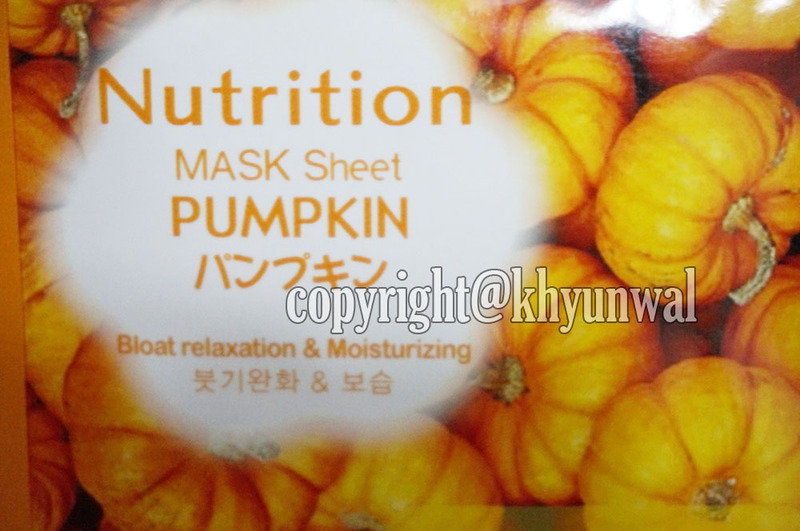 Since pumpkin also help to remove old skin cells and promote new cell production because of its natural enzymes that help to dissolve dry skin cells. That is why you will find some foot-care product made from the pumpkin cause it will help wth the foot which often gets crack and dried. Also if you are one of those people who deals with acne blemishes or frequent breakouts, pumpkin will help you to fight acne, cause of Vitamin E and T it contains. Because of these nutrients, pumpkin skin care products will help your skin to fight inflammation, reducing pore size, controlling excess oil and preventing the appearance of pimple, blackheads and any blemishes. 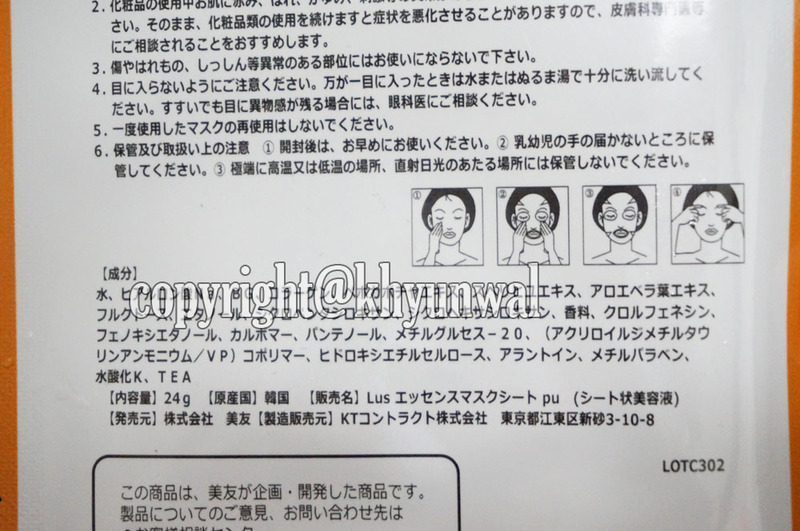 I don't know why, but some of the LUS mask pack have instruction only in Japanese for some reason. But this is really general facial mask pack. So you just simply put it over your face and leave it on for about 15 to 20 minutes. And then you take it off. 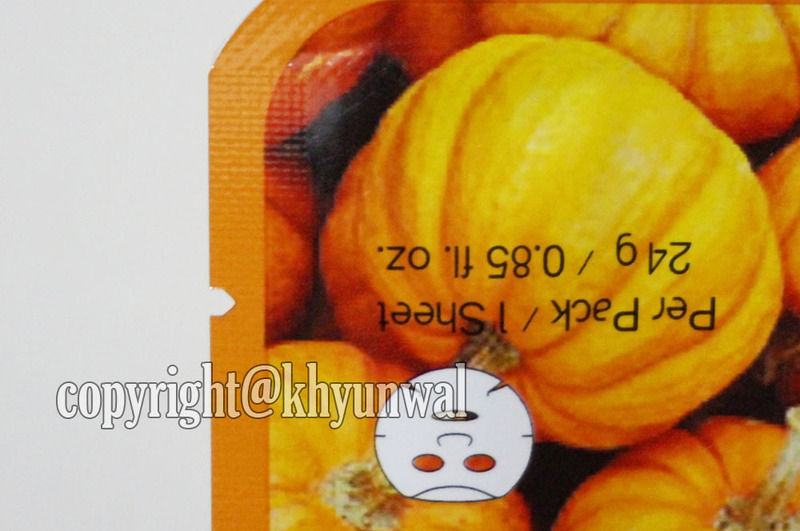 Before the application of the Pumpkin mask pack, you can see how I have little radish spots on my face. But after the application, my skin got more whiter tone and redness evened out. And what I also like about LUS mask pack is, the day after I have use it, my skin still stays very moisturized! I hope you guys find this review very helpful. 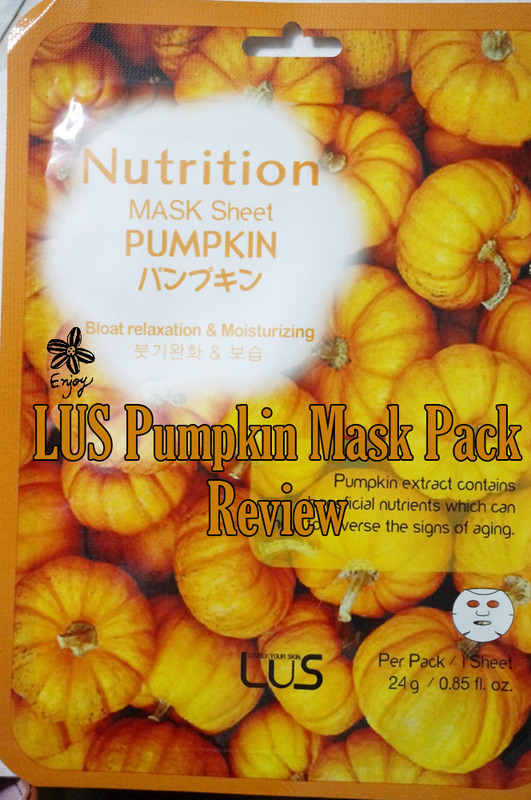 I will be back with more reviews on LUS mask pack, so stay tune! Not a problem! I just love lus mask for some reason >_< so many to choose from for different purposes! I always love natural products,I am gonna try this mask for sure.. Right now am having,Revitol Dermasis Psoriasis Cream .It contains a unique formulation of ingredients that soothes and moisturizes the skin. and I am really happy with the results. But I think the above mentioned pumpkin mask is not gonna harm me either and give results also..